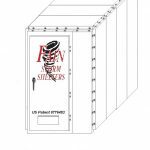 We would like to introduce you to our newest product on the line, our steel safe . 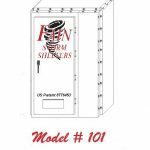 This unit is one of a kind and is patented by the US Government for our companies original design. 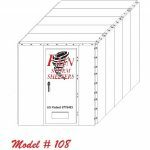 We have been in the storm shelter business for over three generations. 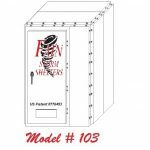 This unit is FEMA 320 Compliant, NSSA Verified, and has been Texas Tech Tested to withstand the forces on an F5 tornado. 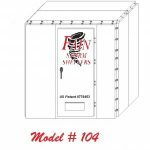 This steel safe room is completely Do It Yourself friendly, affordable, reolocatable, and entrapment proof making this unit the perfect fit for any family. 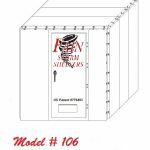 All size units can be simply shipped on a 4×6 pallet nationwide. All that is needed for installations is a couple of wrenches, a drill, and couple of folks for assisting in the lifting on panels. Installation on these units takes approximately 2-3 hours. The design is so simple and DIY friendly that only the door frame and door sub panel are different sizes, all the other panels are the same size and are bolted together with grade 8 steel hardware and anchored securely to a slab floor. 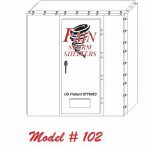 All of the units are powder coated for a long lasting life. We appreciate your interest in our product, please feel free to contact our office with any inquiries.